The Vietnam Paper Corporation has a US$1 billion plan to expand the country’s pulp and paper production capacity. 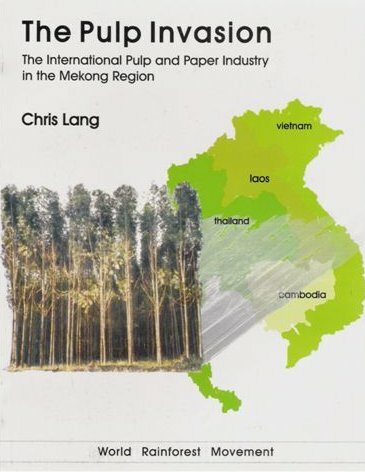 In 2000, Dang Van Chu, Vietnam’s Minister of Industry told the trade magazine Pulp and Paper International that Vietnam had a clear strategy for the pulp and paper industry for the next decade. “Within 10 years, we want our industry to meet 80-90 per cent of domestic demand, with an average growth rate of 10.4 per cent per year,” he said. He added that the country also hopes to increase trade on the international market. The following year, the Vietnam Paper Corporation (Vinapimex) announced an ambitious plan to expand the pulp and paper industry in Vietnam. 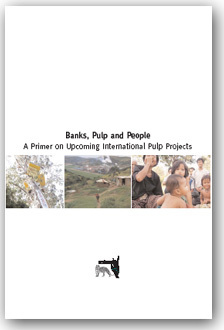 With a total cost of more than US$1 billion, the plan involves 15 new pulp and paper production projects. If they were all built, the projects would raise Vinapimex’s annual paper production capacity from the current 171,000 tons to 419,000 tons. The pulp and paper industry in Vietnam presently produces a total of approximately 450,000 tons of paper a year. Vinapimex hopes to increase this figure to more than one million tons by 2010. One of Vinapimex’s proposed projects is a new 130,000 tons a year bleached kraft pulp mill in Kontum province, in the central highlands of Vietnam. In October 2001, the government approved Vinapimex’s feasibility study. On 24 October 2002, provincial authorities announced the suspension of construction of the new mill in Kontum province. The state-run Vietnam News Agency (VNA) reported that construction was stopped because of “a failure to draw up a credible master plan”. Six months earlier, during a two-day trip to Kontum, Deputy Prime Minister Nguyen Cong Tan had demanded that the Vietnam Paper Company, Vinapimex, must publish a plan indicating where the raw materials were to come from to feed the mill. Dung instructed the Ministry of Industry to adjust its development plan for the paper industry up to 2010 and requested that all proposed new paper mill must take into account plans for raw material supply. Vinapimex had planned the Kontum mill on the assumption that more than 20,000 hectares of plantation were available to feed the mill, and that more land could be planted. However, three years later, less than 15,000 hectares of plantations existed and some of this area encroached on people’s land and homes. Vinapimex has plans to establish an area of 125,000 hectares of fast-growing tree plantations. In addition, according to Vinapimex’s feasibility study, the company plans to use 38,000 hectares of natural forest to supply the mill. 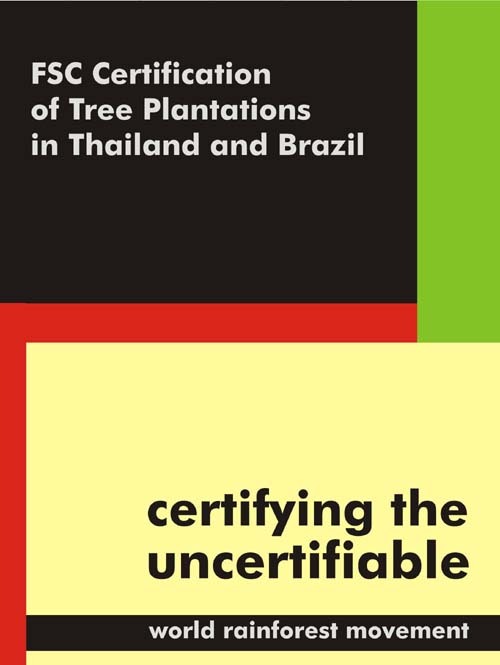 After construction was stopped, Kontum’s provincial authorities told VNA that expanding the area of tree plantations to provide more material was simply not feasible. Jaakko Pöyry, the world’s biggest forestry and engineering consulting firm, was the project consultant for the proposed mill. In 1998, Pöyry produced a feasibility study for Vinapimex on the mill, and prepared the bidding documents for tender in May 2002. The total cost of the mill was estimated at $240 million, including $163 million worth of equipment from Western Europe. The suspension of construction at the Kontum mill is only one of the problems facing the state-run Vinapimex, Vietnam’s largest paper producer. Vietnam has the capacity to produce 360,000 tons of paper a year, or approximately 70 per cent of the paper consumed in the country each year. However, in August 2002, VNA reported that Vinapimex’s warehouses were at bursting point, with 28,500 tons of stockpiled paper, including 16,000 tons from the previous year. The company accused foreign exporters of dumping cheap paper in Vietnam, but the reality is that imported paper is both cheaper and better quality. In September 2002, the price of imported paper in Vietnam was $520-700 per ton against $713-776 per ton for Vietnamese produced paper. In an attempt to compete with the imports, Vinapimex reduced its paper prices twice during 2002. Meanwhile, paper production costs increased in October when the government hiked the price of electricity. Vinapimex has asked the government for a reduction in electricity charges to pre-October 2002 levels and is looking to the government for other subsidies, through preferential credit loans and a reduction in value added tax. The outlook is not good for Vinapimex. In 2003, under the ASEAN Free Trade Area rules, Vietnam has to reduce tariffs on imports of paper from 50 per cent down to 20 per cent. Meanwhile, Vinapimex is continuing with its expansion plans. A 250,000 tons a year pulp mill is planned at Phu Tho, with the aim of supplying Vietnam’s largest pulp and paper mill at Bai Bang. In 2002, work started to expand the Bai Bang plant from a production capacity of 55,000 tons of paper a year to 100,000 tons. At the same time, annual pulp capacity will be increased from 48,000 tons to 61,000 tons. This represents the first stage of a plan to increase the mill’s annual paper capacity to 200,000 tons and pulp capacity to 150,000 tons. On 30 November 2001, the Swedish Government agreed to provide a preferential credit of US$12.5 million to fund the first phase of the expansion. In 2000, Vinapimex obtained US$42 million in loans from three Nordic banks to fund the rebuilding of the mill. Vinapimex has signed contracts with Voith Paper and China’s Sinochem to rebuild the plant. Elof Hansson and Marubeni won contracts to supply equipment. Hansson leads a group of supplier companies which includes Kvaerner Chemetics, Kvaerner Pulping, Purac, Metso Paper and AF-IPK. In October 2002, the Vietnamese Government approved Vinapimex’s plans for a US$104 million pulp and paper mill in Thanh Hoa province. The mill is to have a capacity of 50,000 tons of pulp and 60,000 tons of paper a year. In February 2003, Deputy Prime Minister Nguyen Tan Dung attended a ground breaking ceremony which marked the start of construction of the mill. In addition to Vinapimex’s expansion plans, the Japanese company Nissho Iwai is planning to increase its wood chip production in Vietnam. The company is building a new, US$1.5 million plant as a joint venture with a state-owned forest product exporting agency. The wood chips will be exported and sold to the Japanese Oji Paper Company. Nissho Iwai also plans to increase the capacity of an existing wood chip producer by 15 per cent to 150,000 tons a year. The company also has plans to set up plantations in Vietnam, as carbon sinks for greenhouse gas emitting industries in Japan. In February 2003, a New Zealand company, NTL Investment Corporation, completed a feasibility study to set up a US$400 million paper and pulp joint venture in Binh Dinh province. The Quy Nhon Paper Materials Company is to be the Vietnamese partner in the joint venture, which is to have a capacity of 150,000 tons of paper and pulp a year. The People’s Committee of Binh Dinh province announced plans to increase the area of plantations in the province to 100,000 hectares, a doubling of the present area. Work started earlier this year on a 45,000 tons a year glossy paper mill in Ho Chi Minh City. Sweden’s Carrimex AB will supply machinery, equipment and technology to the Binh An Paper Company (Cogimeko) plant. According to government figures, Vietnam already has one million hectares of tree plantations. This should be more than enough to supply raw material for the pulp and paper industry, in a country where per capita consumption is 7.5 kilogrammes, even allowing for Vinapimex’s ambitious expansion plans to meet predicted increased consumption. But, as part of its “five million hectare reforestation programme”, the government plans to plant a further one million hectares of industrial plantations specifically to feed the industry. A sign at the boundary of a plantation at Bau Bang Experimental Station in Song Be province reads “No fires, no cutting trees, no grazing animals”. The sign indicates precisely the problems that plantations can cause for local communities. In many cases plantations have been established on land that is already used by villagers, for example for grazing animals. Villagers have no choice other than to continue to graze their animals and they thus damage the plantations. Villagers may also help themselves to wood from plantations, especially where the plantations have replaced their only source of fuel wood. As a last resort, villagers might burn plantations to clear the land of trees so that it can be used for something more productive. 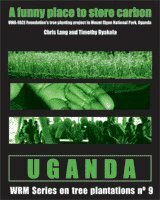 In a February 2001 report, the Ministry of Agriculture and Rural Development argued that the five million hectare programme should lead to “sustainable land use” and be “financially, environmentally and socially viable”. Yet, there is no clear demonstration that the industrial tree plantation programme currently underway in Vietnam meets these objectives. 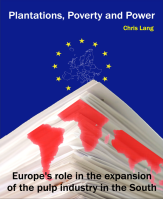 It is only financially viable with government subsidies and low-interest loans in the form of overseas “aid”. 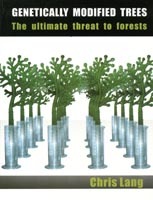 Monocultures of fast-growing trees which replace forests, fields and grasslands cannot be described as either environmentally viable or sustainable. And, for rural Vietnamese people, who are dependent on the land and forests which would be lost to the plantations, the social implications are potentially devastating.